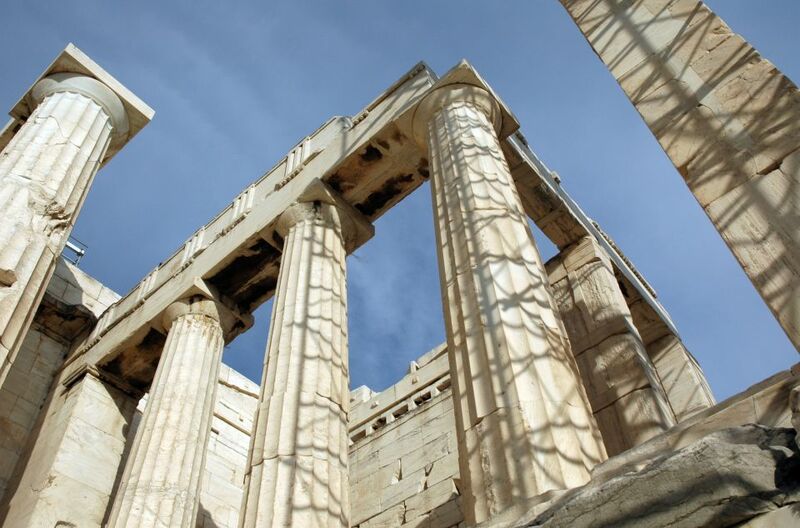 The Parthenon is the most important surviving building of Classical Greece, which is a former temple. Contrary to the gleaming white facade which is often how Greek temples and structures are depicted, the Parthenon was most likely very colourful in its ancient state. To ensure its stability and to preserve this partially ruined structure, restoration and reconstruction processes have begun. All new reconstruction metalwork uses titanium, a strong, light, and corrosion resistant material. 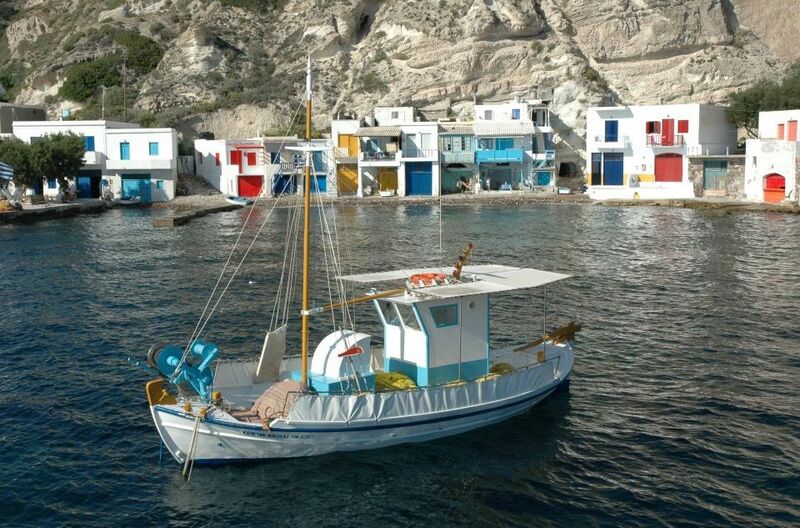 In the 1880’s the people of Cycladic began using a whitewash to reflect the harsh summer sun.This trend became so popular that by the 1930’s, a new regulation was passed that meant all new buildings had to be painted white to create homogeneity. Whitewash is durable, cheap and also serves as a natural disinfectant due to its oxidising and antibacterial properties. It is made from slaked lime (calcium hydroxide) and chalk (calcium carbonate). 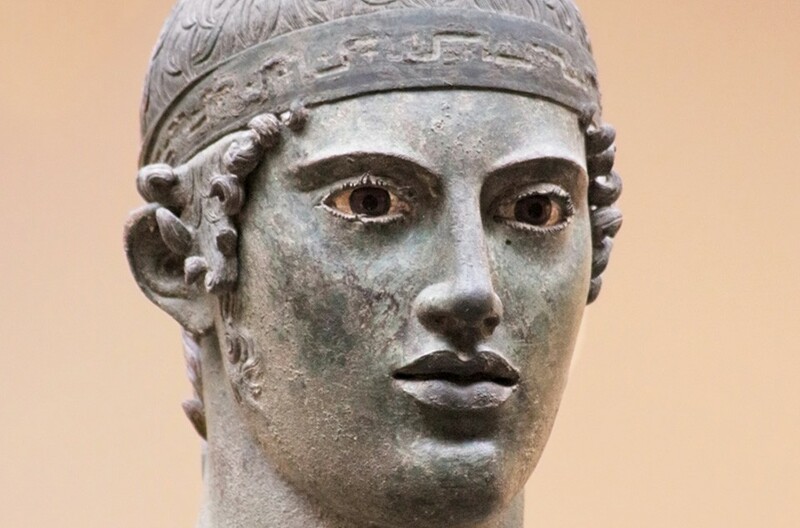 The Charioteer of Delphi is made from copper and is considered to be one of the finest examples of ancient bronze statues. To commemorate the victory of a chariot team in the Pythian Games, the statue of Delphi was made in 478 or 474 BC. It is made from Copper and is considered to be one of the finest examples of ancient bronze statues. Remarkably, the statue is nearly intact except for the left forearm and some details on the head are missing including the copper inlays of the lips and most of the silver eyelashes and headband. Fortunately the statue was not melted down (like most statues were for their raw materials) as it was buried under a rock fall at Delphi.